Nice, Google released a new feature called Google Instant. While we thought something was wrong with our browser it was really the dawn of a new way to search. Ajax programmers gave us super fast magical features for our websites and Google uses a lot of Ajax in it’s products. Google Instant requires no training or plugin, just go to www.google.com and start searching for something like dfw marketing and result choices instantly come up. This for us has the initial effect of seeming like to much blinking and forget about your adwords on the side. Your eyes won’t keep up as the body keeps changing while you type. So the cool thing is to use backspace. This feature lets you glance results and might make it easier to get the relevant information you were looking for. Use backspace on the fly and see the results change in the body not just the search drop down which was cool when that first started appearing also. This will affect SEO and adwords although Google has stated that no changes to the search result process was made. This will change how we interactively search. 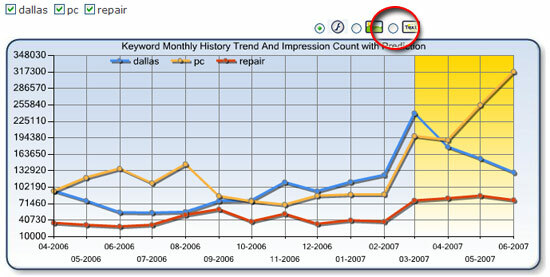 Is getting search engine optimization in 2010 what a small business should do? Will it really help get more customers? Is it effective at finding localized consumers? The answer to all of these questions is Yes. The market is still down, lucky it is recovering but companies out there are still struggling to stay afloat. DFW companies have to make difficult decisions every month as far as advertising and promotional needs to keep them either selling product or service. And this is precisely the reason that this year SEO (Search Engine Optimization) is important. Search engine optimization provided by companies like 1 Call Service offer other companies a way to increase viable leads at a reduced cost compared to other forms of traditional advertising. A company that has more viable traffic is likely to make more sales as more arrive at the site because they found what they where looking for. An example could be if you’re looking for a local lawn service, so you do a search and see what comes up. The higher you are on this list the most likely you are to gain the traffic. If your site is the one they end up on then you may have just made a sale. The Dallas metroplex map and surrounding areas represent a large advertising market spread out over several hundred miles. So how can SEO/SEM (Search Engine Marketing)help narrow the field if you are just looking for local customers? SEO/SEM experts all across the county know about the important of localized services and searches, all of your major search engines are also now local aware. These experts can tap the potential of these search engine getting you the local results your looking for, be it a specific area such as Carrollton, or Plano, or a wider range such as Dallas or Ft. Worth. 1 Call Service SEO/SEM professionals will detail out your starting point, and formulate a custom list of improvements to be done to your website, along with getting information on what your specific SEM goals are. With this they can go to work and soon you can start to see your results. More calls, more walk ins, more product off the shelves, what ever your business needs are; money spent on SEO is money well spent in 2010.